Under the slate grey sky and whipping winter winds, the sky-blue storefront with wide windows and marble countertops attracts those passing by on the quiet, back streets of a neighborhood in Seoul, South Korea. Photographer Lyric Lewin introduces us to MK Cho and her beloved shop, Tiger Espresso. Customers enter the tiny storefront and unravel a mess of gloves, coats, hats and scarves. The coffee shop, Tiger Espresso, holds only a handful of people; they nestle into a corner or perch at the bar lining the window. 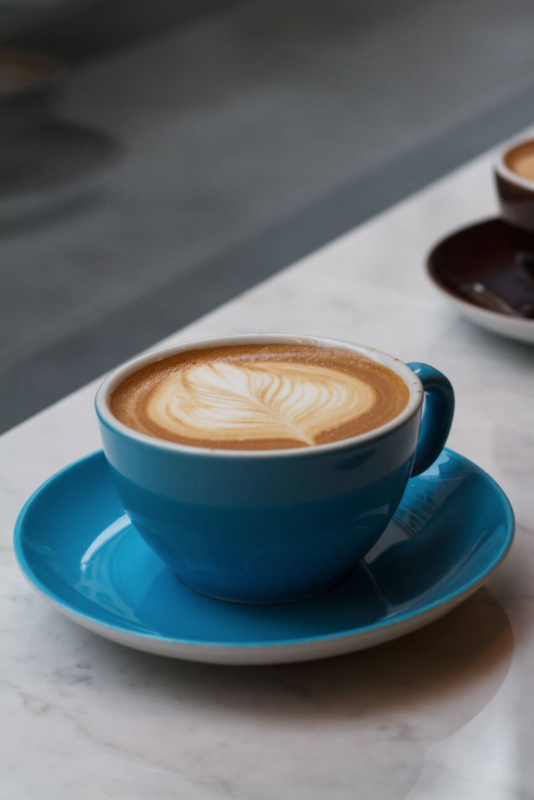 Each cup of coffee – from cortado to latte is crafted with precision and uses quality coffee beans from a sustainable provider. The owner, MK Cho, is an unassuming but savvy businesswoman, running everything by herself. Cho left her job of 18 years to pursue her dream of running her own business. Her eyes light up when she talks about the coffee shop. From the day she first saw the space, an old hardware store, she saw the potential. “I had to change my life,” Cho said. “Every day I dreamed of being a barista.” After years of planning and self-teaching, she says, her dream has come true. Cho was not only involved in the renovations, but she runs the store by herself. Thirteen hours a day she is in her shop. Rising in the morning to open her shop, greeting customers all day with steaming hot beverages, and then closing well past sunset. The work ethic Cho has is not the only thing that sets her business apart from other coffee shops; she also has a knack for connecting with people. Learning every customer’s name – and even picking up phrases in different languages for the foreigners who frequent her coffee shop. 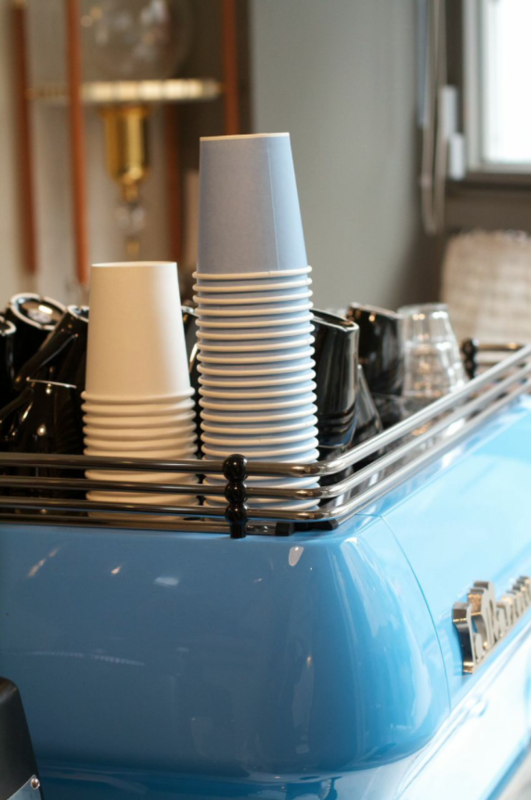 Tiger Espresso, a bold name for an admittedly small space – is no accident. The story behind the name is two-fold: Cho explained that she and her son as well as other family members were all born in the Korean year of the tiger, so it carries special significance. The second reason is a coffee reference; in Korea, the crema on top of the silky coffee is called Tiger’s skin. Cho’s spirit and tenacity carry her through the long hours and hard work. 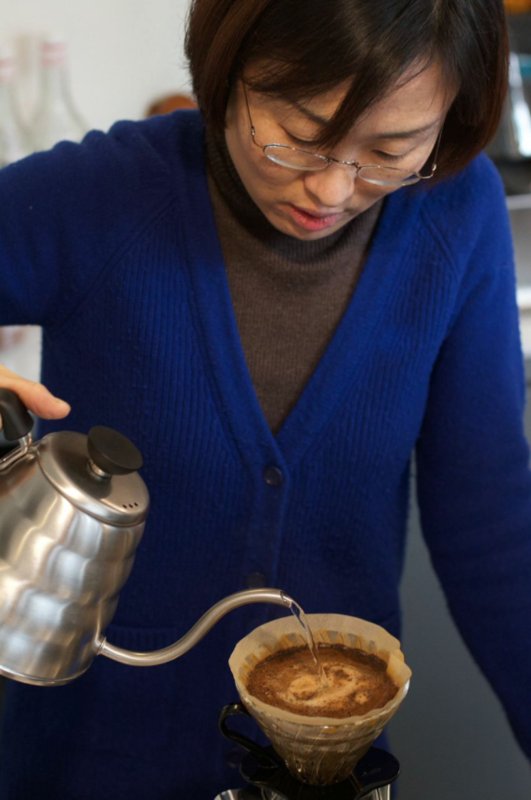 Cho has found her dream: working with her hands, interacting with people, sunlight streaming through windows and being her own boss, were all actualized in the owning of a coffee shop. She loves the details. Importing materials to craft her shop from scratch, from the marble countertops, to the coffee beans. She says when people drink down to the last drop and she sees the bottom of the glass, she is the happiest barista. Thank you Lyric for this interview and tour. Visit Tiger Espresso and keep up with MK on Facebook and instagram.